It’s time to go against the wave of mass-produced snakeskin totes, and opt for personalized and arthouse wearables. Joyeeta Bose’s label Studio Joyeeta will nurture your love for hand-painted accessories and decor props. 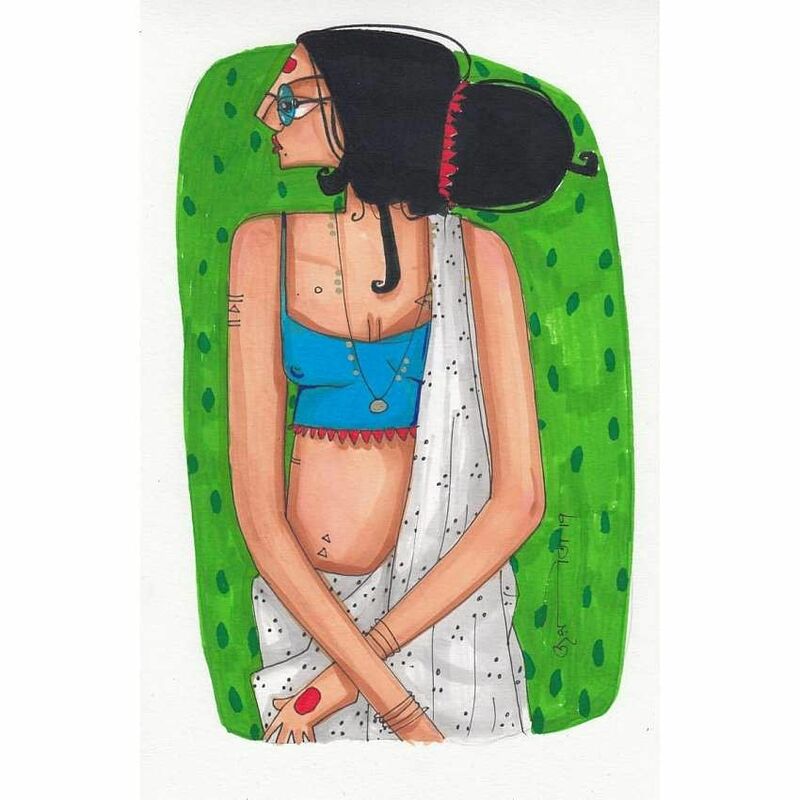 What really stands out about Joyeeta’s creations are the contrasting colour palettes, and her mural-esque motifs. The label is only a year old, but has had a resounding success — so much so, that her partner Prasenjit Ghosh could quit his day job, and join hands with the artist to grow the label further. 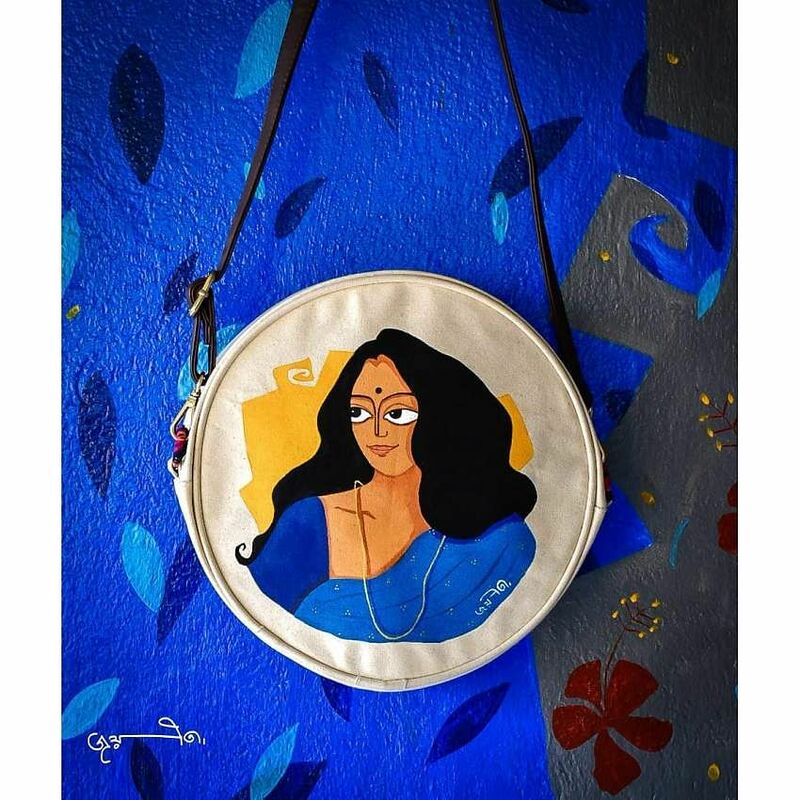 From statement sling bags, to kitschy earrings to retro-inspired postcards and bookmarks, each of Joyeeta’s creations are unique and will stun you with their avante-garde detailing. After passing out from the Indian College of Arts, Joyeeta was selling her paintings to interested buyers for a while, much like any other art grad. “One day I hand-painted a bag, and I remember it got a phenomenal response on Facebook and Instagram. It got sold within two minutes! And people started requesting me to make more, and that’s how it escalated I think,” Joyeeta, who’s the sole designer of her label, tells us. Most of Joyeeta’s creations reminisce about an era gone by — a hand embroidered hatpakha brooch, accessories featuring sari-clad women, with a long, flowery benuni and a bindi. 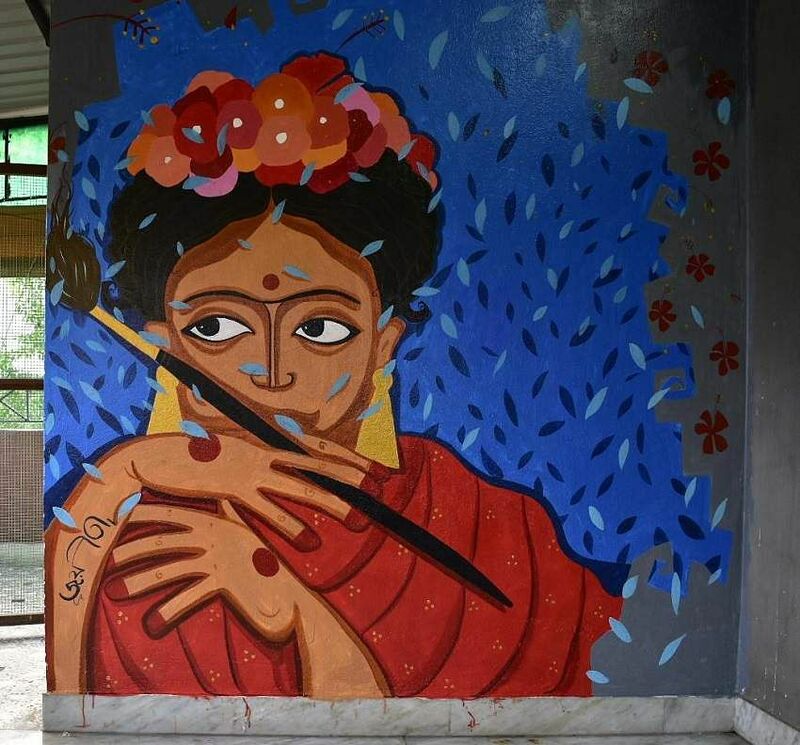 One of her most stunning creations occupies the wall of her Tollygunge studio — Frida Kahlo with a bindi, alta and a paintbrush. This cultural synthesis is mainly what Joyeeta’s brand is all about. That and her storytelling. If you visit Studio Joyeeta’s Facebook or Instagram pages, you will see almost all of her creations come with their own context and a perspective. “I love story-telling, and I love writing. So, my art is something which I can utilize to pursue that,” we are told by the designer, who also retails online. “I love painting women. My recent series is called ‘My Women.’ I paint men too, obviously, but when it comes to women, I enjoy conveying the emotion, the depth and the power they have through my paintings. I paint the women around me — their sexuality, their independence, and their feelings,” informs Joyeeta sitting at her Chandi Ghosh studio. One of her fridge magnets has the words ‘sukoon’ emblazoned upon a painting of a woman taking off her bra, after a day’s work. And if that isn’t the most relatable narrative of our day, we don’t know what is. Joyeeta’s label is all about the freedom to customize. “I ask people to tell me about themselves, so I can paint them through my lens. 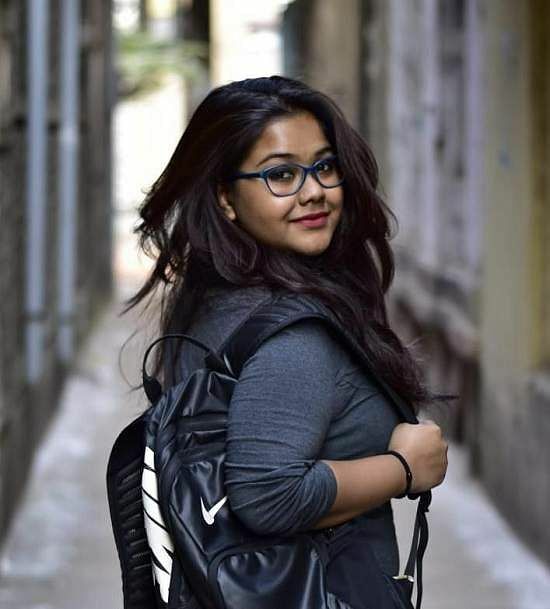 The brand is really about that — about personalising art,”adds Joyeeta, who along with Prasenjit, has also painted walls across some classrooms and eateries across the city, like the New Town School and Calcutta 64. Studio Joyeeta’s brooches, earrings and accessories start from Rs 450, and the bags start from Rs 1,000. If you want to commission more elaborate pieces, it will cost you more.